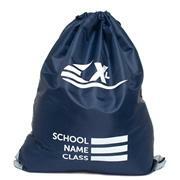 If your children are going to be playing sports and games at school, then you’ll need to equip them with suitable PE bags. After all, packing a pair of smelly shorts or muddied football boots alongside a maths book is unlikely to be good news for the latter! We here at Shoe Zone specialise in shoes – but we also provide the equipment required to carry them from place to place. 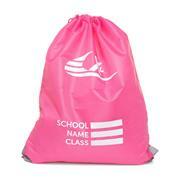 A drawstring bag is lightweight and flexible enough to be easily carried around. What’s more, a good kid’s gym bag will also look the part. 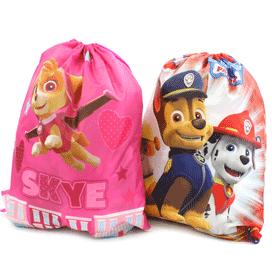 Our range includes children’s drawstring bags of a range of different designs. Included are bags featuring popular franchises. If your child is a fan of Disney’s ‘Frozen’, then you might consider a pump bag featuring its cast. If they’ve a penchant for Star Wars, then a picture of Captain Phasma and a stormtrooper might be what’s required to persuade them to display their gym bag proudly! 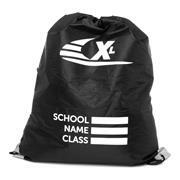 High-quality PE bags form an important part of every child’s school supplies, as well as coming in handy for sporting activity outside of school. Our examples are durable, good-looking and affordable, too. 4 products from £2.99 to £2.99.